Utilizing credit to cover life’s major expenses or unexpected bills is common among Americans. Taking on debt makes it easier to manage a significant financial burden when the savings just isn’t there. Unfortunately, leaning too heavily on credit can create a mountain of debt that feels impossible to move. If you feel like you’re drowning under its weight, you are far from alone. A recent study from LendingTree highlights the glaring truth of debt across the United States – consumers are spending 26% of disposable income on non-housing debt in the form of credit card balances, auto or personal loans, and medical debt. 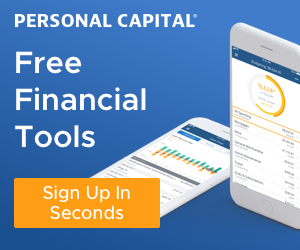 As these financial obligations roll over from month to month, interest accumulates, often in the double digits, making it seem like a never-ending cycle of paying someone else. When you’re in debt, you may think you’re drowning financially, but the truth is, there is a way out. You may not be able to see that path forward just yet, but simple steps can get you back on track toward a debt-free life. It begins with having a plan to climb out from under your debt burden with the following tips and tools in mind. It isn’t feasible to create a plan to get out of debt if you don’t first know where you stand. Many people take the convenient path of avoiding their debt and simply paying the minimums due each month to stay current. However, that doesn’t make a dent in the balance owed, especially when interest is accruing every month. Instead of ignoring the issue, you have to take a hard look at what you owe, including your current balances, the interest rate on each debt, and monthly payment due. With this information gathered, you can most effectively determine your course of action for getting out from under your debt load. Seeing all the numbers laid out in front of you may be overwhelming at first, but once you have the big picture, you can start to see a light at the end of the tunnel. After gathering all the details about the debts you owe, your next step is to evaluate your cash flow. It is easy to know what comes in each month in terms of income, but where most people struggle is the outflow. Understanding your expenses in both the required and desired categories is essential to getting out of debt. Required expenses are easy to calculate – think of your housing payment, debt obligations (the minimums), utilities, and other necessary bills each month. Desired expenses include anything not on the first list. For most, these costs are dining out and entertainment, impulse buys, and other non-essential items. Add the two categories up and subtract the number from your income to see how much wiggle room you have each month, if any. When a surplus is available, plan to use that toward speeding up your debt pay off. If you have a deficit or are just breaking even, consider what you can cut out of that desired category to free up some extra cash. It is also important to check your credit. 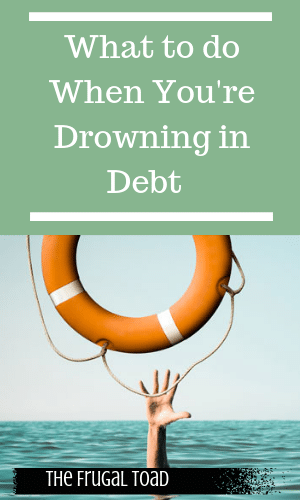 When you feel like you are drowning in debt, pulling your credit report may seem like an unnecessary and depressing task. However, checking your credit gives you an opportunity to see where you stand as well as recognize any errors that may be on your report. When errors are present, work toward disputing those items to help clean up your credit score. This will help you improve your overall financial standing with new creditors, making it easier to get more affordable access to credit in the future. You can check your credit with each of the three credit bureaus for free online. One of the most challenging aspects of getting out of debt is not necessarily tied to minimal income but instead, it links back to behaviors with money. If you really want to stop drowning in debt, you need to evaluate how you get into the situation in the first place. Maybe you’re desired spending was above and beyond your means, or you have a fondness for online shopping. Whatever the issue may be, consider how you can correct it or at least reign it in moving forward. Getting out of debt requires not adding to your balances each month; that means putting an end to unhealthy spending habits now. Once you have done to work to evaluate your debt situation, your cash flow, and your spending habits, it’s time to consider your options for getting out of debt. There are a handful of strategies you can use to effectively pay off your debts, including the snowball method and the avalanche method. The first, the snowball method, means you start paying off your smallest debt first to build momentum. Extra funds you have each month go toward this balance, while you pay the minimum on the others. The momentum that comes with paying off the first balance trickles down to the next, and the next, until you have paid off your debts in full. The avalanche method works differently. Instead of focusing on the smallest balance, you put your extra cash toward the debt with the highest interest rate. Payment on other debts is still the minimum amount, but once you have paid off the most costly obligation, you transfer that amount to the next-highest-rate debt. Doing so helps save you money in the long run, as you are accumulating less interest on your debts over time. Either method can work, but both require understanding the details of your debt situation first. Feeling like you are drowning in debt can be an awful feeling, but you have a way out if you choose to put in the work. In creating a plan to pay off what you owe, consider what you want for the future as well. Being debt-free is often the most pressing objective, but you can easily get off track if there is not a bigger-picture goal behind it. For instance, think about what you could do with the money no longer being used toward debt payments. How much could you save with those funds over time? Could you build up retirement savings or invest for your longer-term goals? Answering these financial questions is part of creating a strategic plan for getting out from under the weight of debt, and being successful in doing so.